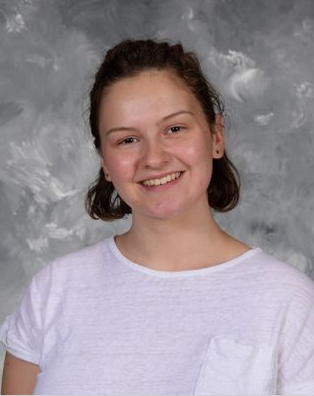 Grace Gill is Lakewood High School’s person of the week for April 1st; Grace is currently a junior. She has been recently talked about by her peers for her writing capabilities and involvement with music. For that reason, Grace Gill is our very own Person of the Week. I met with Grace and asked her a couple of questions about her life here at LHS, and this is what she had to say. Q: What activities are you involved in here at Lakewood High School? A: I am not involved in too much here at the high school other than orchestra. My main priority is music. Besides taking at least two orchestras during the day, I am involved with the Lakewood Project. Q: What award did you recently win? A: Recently, I won the Rotary Exchange Writing Competition. Miss Garritano is the one who had all of us write essays and I chose to enter mine. Q: What other interesting things have you been involved with this year? A: This year, the Mayor of Lakewood, Mike Summers, proposed an idea for a new Youth Council. Jack Hueter, McKenzie Lane, and I all attended the meeting that discussed the proposal; we all gave our input and were involved in the conversation. Q: Are there any other awards that you were recognized for? A: Last year I was selected to be a part of the National Honors Orchestra–which was pretty exciting; but that is pretty much it.